Staffordshire Sheet 67.15 Dudley (West) 1901 - published 1991; introduction by Robin Pearson This detailed map covers the western part of.. 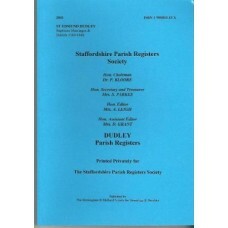 Staffs Sheet 67.15a Dudley (West) 1881 - published 2013; intro by Angus Dunphy. 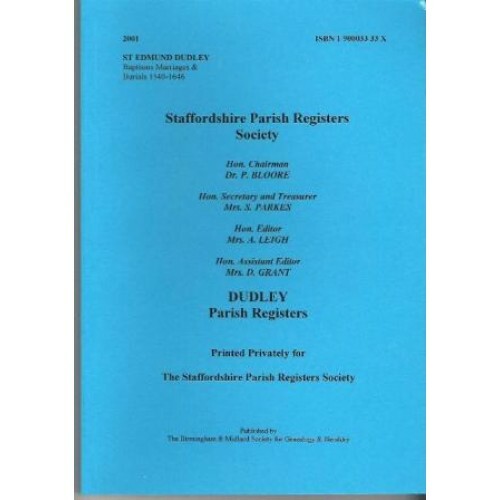 ISBN.978-1-84784-657-0 We have published two versio..
Dudley St. Edmund Parish register transcripts Baptisms, Marriages and Burials 1540-1646 This is a downloadable PDF fileNow with clickable ..